Undoubtedly jumping on the popularity of the Ladybird books for adults (How it Works: The Wife, The Ladybird Book of Dating, etc. 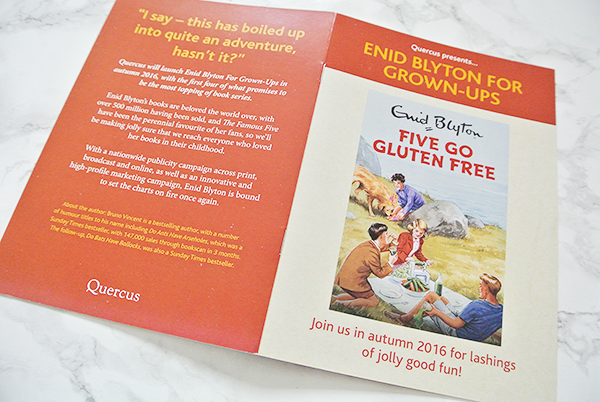 ), the genius brains at Quercus are launching a new series of books for adults that focus on the beloved childhood characters from Enid Blyton's Famous Five series. As she is my absolute favourite author this is probably the most exciting book news I've heard all year! I've read all of Enid Blyton's books a ridiculous amount of times throughout my lifetime, especially St. Clare's, Malory Towers, Famous Five, The Adventure Series and Five Find-Outers and I'm thrilled to have the opportunity to finally discover a whole new series of books, even if they're comedy versions of the characters I grew up with. The first titles are to be released on 3 November 2016 in hardback and I cannot wait. And as a special treat the goodie bag included a short story titled Five Go Bookselling, which is the perfect blend of nostalgia and hilarity. Ahhhh, is it November yet?! Pre-order Five Go Gluten Free, Five Give Up the Booze, Five Go on a Strategy Day Away and Five Go Parenting. 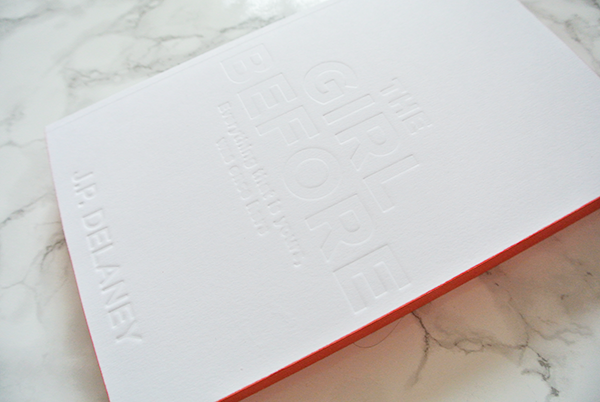 Another much buzzed about psychological thriller with Girl in the title? Yup. But this one sounds pretty incredible. The novel by J.P. Delaney has already been picked up by Universal Studios to be turned into a film, to be directed by Ron Howard no less. Another win for Quercus, for sure. I'll report back here as soon as I've read the beautiful proof that was in the goodie bag and you can all pick up a copy on 26 January 2017. Pre-order the book now. I am a big fan of vlogger Fleur de Force and her fab style and it was great to hear she was at the event to talk about her books. I loved the first one, The Glam Guide, and the folks at Headline are releasing a second title by the vlogger's hand, The Luxe Life. Released on 28 July 2016, this beautiful hardback looks classy like its name and I can't wait to pick up a copy! Pre-order here. 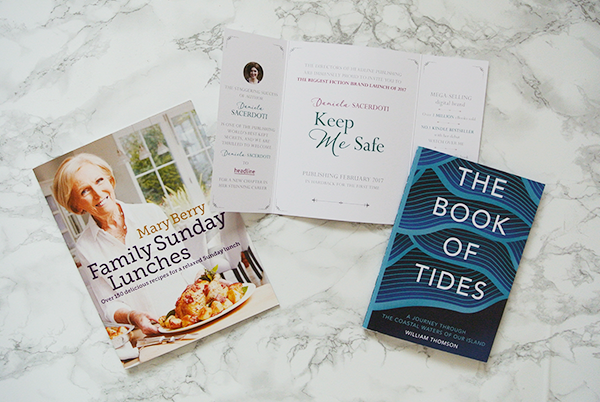 Who doesn't love Mary Berry? I've become obsessed with her recipes ever since I started watching The Great British Bake Off years and years ago, and her banana bread is the most perfect (and easy) recipe to bake a treat for a friend. Basically, her recipes have not failed me yet and I always eagerly anticipate her new books filled with goodies. 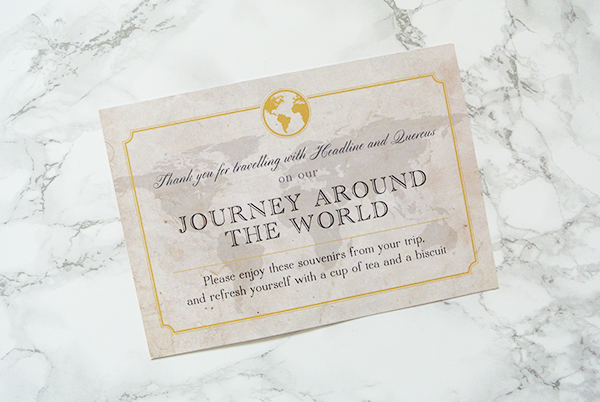 The little booklet featured below contains a selection of the new recipes and I cannot wait to try my hand at the lemon and lime cheesecakes. The full book is published by Crown Quartro on 8 September 2016, so pre-order now and get ready to get your bake on! 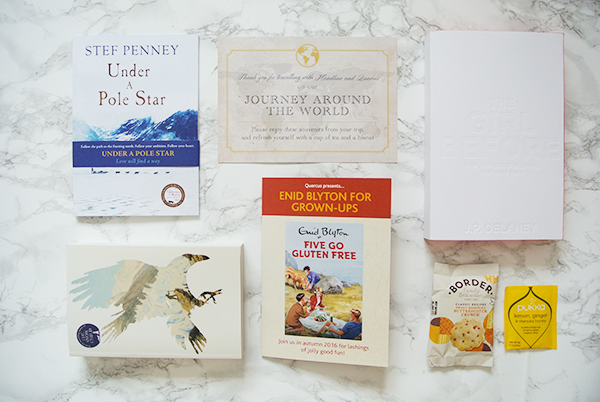 As you can see in my photos there were many more brilliant sounding book presented during the event but I want to keep this post limited to my absolute top 5 only, so make sure you check those out separately! The final book I'm eagerly anticipating is To the Bright Edge of the World by The Snow Child-author Eowyn Ivey. Published by Tinder Press, this gorgeous novel is out on 2 August 2016 and you can pre-order your copy today. And that's my top 5! Which of the above books are you most excited for? Wow, some wonderful books here! So much to enjoy! Right? 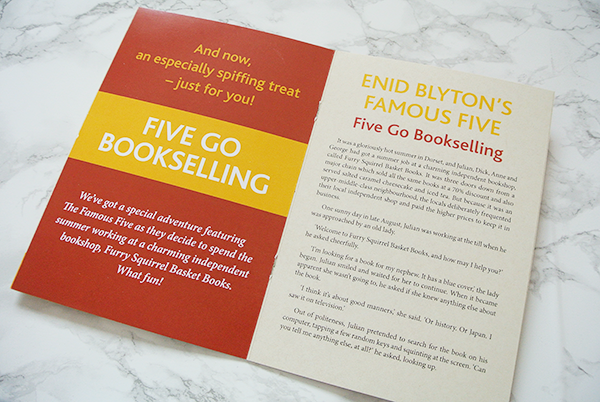 I absolutely cannot wait for the Enid Blyton ones in particular – is it November yet? !